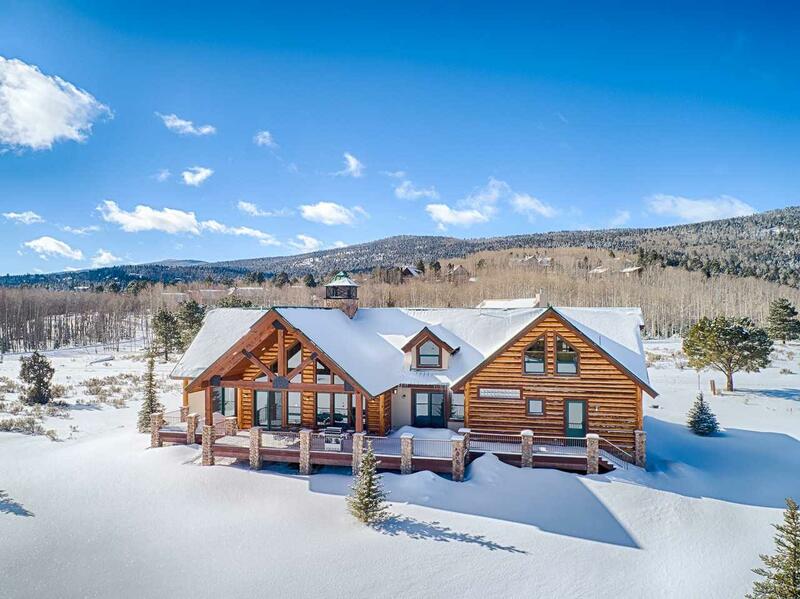 In winter or summer, this custom-built log house is an epic home base for your mountain adventures. 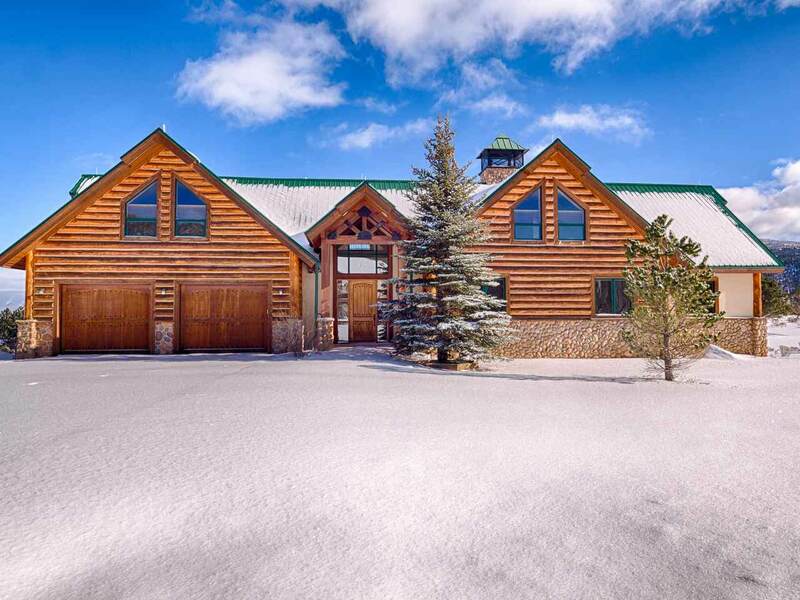 Immaculately crafted of New Mexico logs that were carefully scribed on the interior to eliminate the need for chinking, the quality of this 2010 built home is hard to beat. 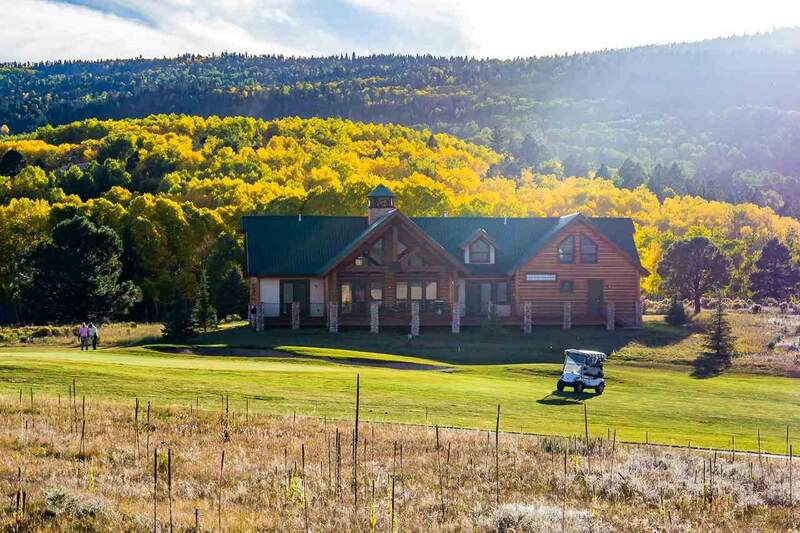 Being situated on the 5th hole of Angel Fire Resorts Golf Course provides views of manicured golf course in the summer and unobstructed snow capped mountain peaks in the winter. Located a short drive of the Country Club, Tennis Center, and Ski basin, this home provides a great location and easy year-round access. Inside, youll be immediately inspired by the high-end finishes throughout including wide plank hardwood floors, zodiac quartz countertops, diamond plaster walls and custom Knotty Alder doors and cabinets. The large great room has a striking window wall with mountain views and a large wood burning fireplace surrounded by river stone. The master bedroom is on the main floor with patio doors, a gas fireplace and a large ensuite bath with double sinks, walk-in closet and an impressive walk-in shower with an elaborate shower head system. Two guest bedrooms, a full bath and laundry room rounds out the first floor. Upstairs features a large loft, another master suite with ensuite bath, and an expansive bonus space thats currently set up as a game room. Finally, the home has an oversized two-car garage with room for your golf cart and a workshop. The home is sold furnished and is ready to move in!